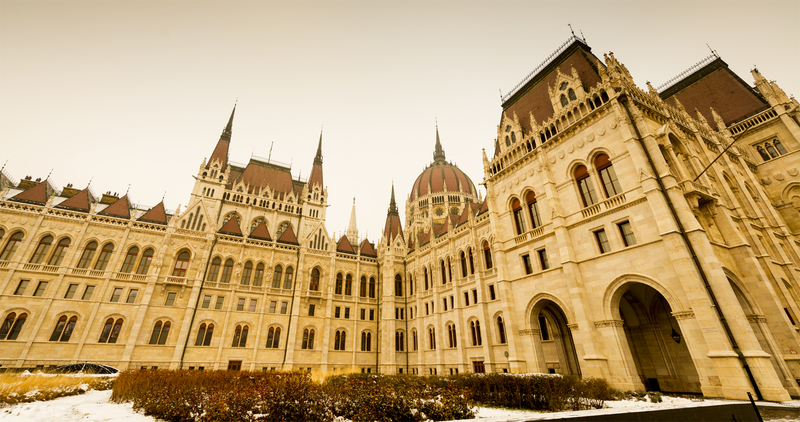 The city of Budapest is Hungary's capital and its largest city and metropolis. It is known for one of the most beautiful architectures within Europe and for being a spa city. It was officially created on 17 November 1873. Its origins can be traced to the Celtic people who occupied the plains of Hungary from the 4th century BC, until its conquest by the Roman Empire who established the fortress and town of Aquincum on the site of today's Budapest around AD 100, and the subsequent arrival of the Hungarian people. The world's third largest Parliament building next to the Museum of Ethnography and the Ministry of Agriculture. The Danube Promenade - Site of the chilling 'Shoes on the Danube Bank' memorial, a series of 60 pairs of steel sculpted shoes commemorating Jews shot here by the Nazis reminding us of the Nazi atrocities suffered by Hungary in World War II. The new 65-m Ferris Wheel on Erzsébet Square in mid-march 2017 and it offers a panoramic view of the city sights from Danubian ships to Buda Castle and the temple towers of Pest. Chain Bridge (István Széchenyi) - Considered a wonder of the modern world upon its completion in 1849, Chain Bridge was the first to span the city's Danube river, eventually uniting Buda and Pest as one city. St. Stephen's Basilica - Named in honor of Hungary's first king. The Dohány Street Synagogue (Dohány utcai zsinagóga) also known as the Great Synagogue or Tabakgasse Synagogue, is a historical building in Erzsébetváros, the 7th district of Budapest, Hungary. It is the largest synagogue in Europe and the second largest in the world. New York Café (New York Kávéház) on the the ground floor of The New York Palace has been a longtime center for Hungarian literature and poetry. At the turn of the 20th century the New York Café was the most beautiful and the most beloved coffee house in Budapest.